Close to 10,000 pieces of legislation have been introduced in the New Jersey Senate and Assembly so far this year, and NJBIA’s five-member Government Affairs team is working on more than 3,300 of them. So why is the team adding to its workload by getting involved with a local issue, namely, the proposed 1 percent payroll tax on businesses in Jersey City? The tax was made possible by an act of the Legislature, which NJBIA also opposed. Currently, Newark is the only municipality permitted to impose a payroll tax. 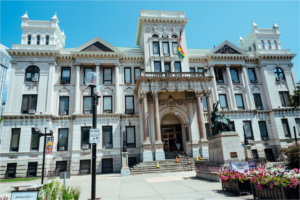 In recent months, NJBIA has worked with the Partnership for Jersey City, a diverse coalition of businesses, unions and trade associations all opposed to the employer payroll tax. NJBIA Vice President Frank Robinson also testified against the ordinance on Nov. 7, when the council introduced it. He urged the city to consider the tax increase’s impact in context. The next city council meeting is scheduled for Nov. 20, when the ordinance is scheduled for adoption.